Take a deep breath. Let’s start in our root and allow all debris to be removed of any issues within that area, moving it up into the Sacral, then the Solar Plexus of our Will and Strength, moving up into the Heart, the Throat, the Third Eye and the Crown. Let it encase into our cellular level, into our physical being, into our organs, our muscles, our tendons, our skeletal system, the blood stream, our glandular system and all organs. Let it be into the emotional level, the Etheric level, all those emotions that we hold within us. They do not help the physical body. Allow them all to be purged at this moment. We are now moving to the mental body and let the mental energies to be fully released, all those thought forms that keep us stuck, the wheel that goes around in our brain. We want all these levels, the Mental, Emotional, Etheric and the Physical to blend into One Essence. We want the male and the female inside of us, the God of the male level and the Goddess of the female level to be in balance. We want them to come together in a marriage that is us within us so that we can fully allow our totality of our I Am Presence to be fully intertwined within our physical vehicle. Breathe deeply. We are now going to incorporate the 22 Rays of God. I do teach about the all the Rays that on the physical level on the Planetary level, but these are all going to be on the Cosmic level. I just want you to breathe deeply as I mention each Chakra that is associated with. We call upon personal Power and Will in the color of Deep Blue into our Throat. We work with El Morya, Archangels Michael and Faith and Elohim Masters Hercules and Amazonia. Feel that deeply into our Throat area. We now call upon the energies of the Love and Wisdom in the Golden Yellow color which will move into out Crown. We work with Master Kuthumi, the Office of the Christ, Ascended Master Djwhal Khul, Archangels Jophiel and Christine and Elohim Masters Apollo and Lumina. Breathe deeply into your Crown area. We now call upon the energies of the Creative Intelligence and Physical Action. It is the color of Bright Pink and it goes into our Heart center. We call upon Paul the Venetian, St. Germain, Archangels Chamuel and Charity and Elohim Masters Heros and Amora. We call upon the energies of the Harmony and Beauty which is Crystalline Light mixed with speckles of Green into our Root area. Serapis Bay is the Chohan, Archangels Gabriel and Hope and Elohim Masters Purity and Astrea. We now call upon the energies of Science and Knowledge which is in our Third Eye. The color will be a mixture of Green Gold mixed with White light. Breathe deeply into your Third Eye. We call upon Master Hilarion, Archangels Mother Mary and Raphael, and Elohim Masters Cyclopea and Virginia. We call upon the energies of Devotion and Spiritual Aspect of Idealism into our Solar Plexus in the color of Cherry Red. We call upon Lord Sananda, Archangels Uriel and Aurora. and Elohim Masters Peace and Aloha, breathing deeply into our Solar Plexus. We call upon the energies of Ceremonial Order and Magic of Transmutation into our Sacral Chakra and it is the color Deep Purple. We call upon St. Germain and Archangels Zadkiel and Amethyst, and Elohim Masters Arcturus and Victoria. We now move into the 8th Ray which is the color of Sea Foam Green and it goes into our Thymus Chakra which is actually the Seat of our Soul. This Chakra is Illumination out into the world. Breathe deeply as it is overlighted by Lady Isis of Resurrection and Recreation and the Angel overlighting is Ramiel, the Angel of Clarity. We now move into the 9th Chakra and the Ray of the color of Blue Green for Joy and Attraction to the body of Light. It integrates with our Base Chakra. We are now moving into the 4th Dimensional Chakras. The 9th Ray is overlighted by Lady Nada, Creation and Disillusion and Mother Mary of Acceptance and Joy. We now call upon the energies of the 10th Chakra. The color of Pearlescent is for anchoring the body of light, inviting the soul merge along with the male and female energies to be intertwined. This 10th Ray is overlighted by Master Valencia of Andromeda and Archangel Ariel, the female counterpart of Uriel, for DNA encoding and Clearance. This goes into the Polarity Chakra. We now move into the 11th Ray and Chakra and the color is Pink Orange. This goes into our Solar Plexus and it’s the Bridge to the New Age integrating the energy within us. It is overlighted by Lady Quan Yin of Grace, Compassion and Mercy along with Rachelle, Guardian Angel of the Divine Self. Breathe deeply now. As we move into the Heart area, we call upon the color Gold for anchoring of the New Age and Christ Consciousness. This is overlighted by Pallas Athena representing Truth and Wisdom with Lord Maitreya Office of the Christ. The Angel overlighting this Ray is Archangel Azreal, Guarding of the Great Central Sun of the Universe. We now move into the 13th Ray which is the color of Violet Pink into the Throat center which has to do with manifesting vibratory communication and is used in materializing and dematerializing items. Breathing deeply we call in the color of Deep Blue Violet into the Third eye. This is the 14th Ray and Chakra which has to do with the Divine Plan and allows the mental mind to surrender. Breathe deeply into that. 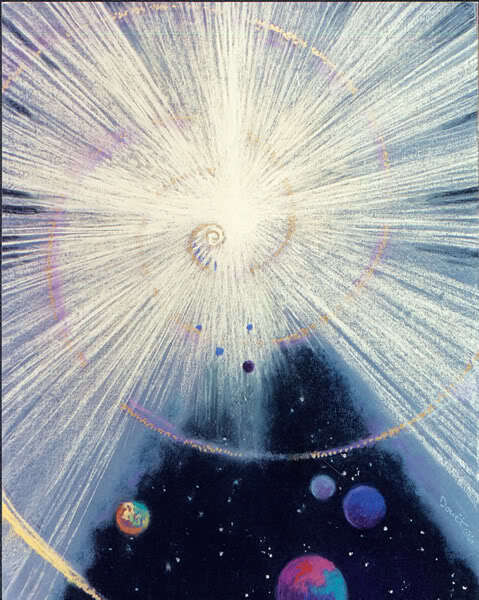 We now move into the 15th Ray and Chakra which is the color of Light Golden White and is the doorway to our Ascension. We feel it blending into our Crown Chakra. We now move into the 16th Ray and Chakra and the color of Light Violet White and it has to do with Ascension, becoming one Universal Being. It blends in the Crown area blending all the previous Chakras to become one. We are now moving into the 5th Dimensional Chakras. The 17th Ray and Chakra in the color of Multi White and this has to do with Universal Light integrating the first two Chakras into the Root. We now breathe in the 18th Ray and Chakra in the color of Pink Gold and it has to do with the 5th Dimensional Divine Intent. This goes into the Polarity Chakra. The Solar Plexus now blends within the Heart area to become one unified Chakra representing our Inner Power and Divine Love and Wisdom. The 19th Ray and Chakra in the color of Magenta has to do with Universal Energy into our Solar Plexus integrating into the Heart center blending with the 12th Ray so the Solar Plexus and the Heart are now one in the color of Magenta along with the other Chakras that were infused earlier. We now call upon the color of Violet Gold and this has to do with Beingness and this goes into our Throat area and all the other Chakras blend into one. The 21st Ray and Chakra is Blue Gold and it has to do with Divine Structure integrating within our Third Eye and blending with the previous Chakras within the Third Eye. The 22nd Ray and Chakra has to do with the color of Platinum and it has the Source and God Head connection. This now goes into our Crown as all the Chakras within our crown are now one unified being. We now bring forth the energies of the Unification of our Light Body. Breathe deeply. As we bring in that 5th Dimensional frequency fully within the beingness that we are. As we now stand in the presence of our physical being we have allowed our emotions, our mental thoughts and our physical being to become one, to allow one unification of the light within us. Our male and female are now balanced within the Heart center and now we allow for the entry of our I Am Presence to be fully within the physical. We have been tapping into the energy of our Higher Consciousness for a very long time, but now it is time to fully accept the Divinity that we are. As we do this we ask for the Veil of Forgetfulness to now be removed. We shall remember all our past lives that are the good ones. We fully bring in the gifts that we have acquired from all the past lives to come into this life time, for us to be healers, the counselors, the teachers, the wayshowers, the light bearers, the grid makers, whatever your gift feels that you are moving towards are going to be magnified after this evening. Allow yourself to know that you are fully embracing you I Am Presence and that this is a Group Consciousness that we were all once a part of. It is now fully integrated into your being. We bring forth Truth, Justice, Acceptance, Joy, Love and more Love and more Love and more Love until we are so filled up with Love we are not too sure how we are interacting without Love. There is no other way. We bring forth the memories of our Lemurian times of the beautiful beings that we were the Gods and the Goddesses. As men and women we learn to respect one another. We learn to honor each other. We feel the essence within us. The men open up into their intuitive gifts and allow their emotions to show to the women. The women are very empowered, and they are so very happy that the men are opening up to themselves and the new way of being. We are coming out of the Veil of Forgetfulness together. Each of us has been downplayed in certain ways. We are now whole once again. We can honor each other as we did in the beginning. Our images of our Atlantean times were full of technology, full of love, but often full of too much power of the ego. We are now able to release that ego, but we also empower ourselves with the knowledge that we had. That’s where we come in with the Scientific Ray. Those of you who are very actualized in this level bring it forth, but you now will bring it forth with compassion and love like you never did before. We are all coming into being. The energies of the Rays, the separateness of the Rays that have occurred are now coming into full unifications as it was during the Lemurian times eons and eons ago. It was separated because it was necessary. Sanat Kumara opened up the Brotherhood of White Light, the Sisterhood of White Light so we could come together, that we needed assistance from the ones that have walked before us, but now we stand with the Masters, now we stand with the Angels, now we stand with all the Light Beings because we are in our Power fully in our physical creation. It is a great event which is happening to us. Embrace this moment as we stand within this portal. Allow this frequency to be fully within you in this moment. Breathe deeply and feel this unification coming from your Soul Star at the top of your Crown into your Earth Star at the bottom, into the system of your Heart, of your male and female. Allow the balance to be between Heaven and Earth. We are the Wayshowers. We are the frequencies of Light to bring forth those frequencies of light within us. This is the power that we need to bring forth. It is an inner power. Allow this frequency to be fully within you now. Take a deep breath and allow yourself to just settle as we just sit. Now we will bring forth Divine Mother and Divine Father of God to assist us in this process. I AM THAT I AM THAT I AM THAT I AM. I Am the Cosmic Great Central Sun. 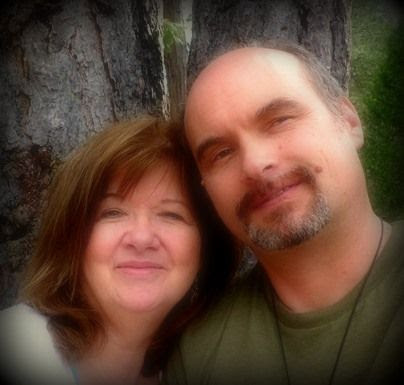 We are a combination of energies of the Divine Mother and the Divine Father at your service. What a blessing, what a beautiful blessing to be here with you today. We will be bringing forth an attunement to help you to balance these energies because they have been very strong as they will be very fluctuating. Please know that whatever you are going through personally within your own being, if there are any thought processes or emotions or elements that you have been holding onto, they will be removed. We are going to help you to remove these. We are going to help you to raise the consciousness within your physical body. It is now time to fully feel the acceptance of whom you are. It is our pleasure to be here with you. We are here with you, we are not here as your guides, as your teachers, we are here to stand amongst the many, to stand amongst the many of souls that have truly taken the time to come into these bodies, to be the Wayshowers, to do the work that is necessary. We are in honor of whom you are in this moment and we are here because we want to acknowledge you. First of all, and we do have to thank our hostess for allowing this energy to come through to her because this was not an easy task several years ago and it is now time to show ourselves to you fully. You may be acknowledging us in your own way. She is acknowledging us through her voice, through her vibration because that is where she is and she has acquired the status because of the work that she has done for herself. We are going to help each and every one of you that chooses to receive this energy, whether you receive this on the live call, whether you listen to the recording, or whether you just feel it coming into your heart. Allow it to be in the presence that you are because you are a light. You are the beacon in this moment. This day has been a tremendous day. We are now fully within the Cosmic energies on the East Coast. There are other parts of the world that are in different areas that have gone through the portals and are just actualizing them. If anyone listens to this, then they will be able to actualize it more fully. This is a call that you can listen to again. It is not something that is over within the time and the elements in which it is occurring. So as we stand before you in the frequency of All that We Are, that frequency is you also. So we want each of you to take a deep breath and feel that frequency. We want you to fully not realize your physical body. Some of you do this very easily. Some of you don’t do it very easily. It is very important that these lower bodies be blended and integrated in order for your I Am Presence to be fully active within your physical being. Utilizing the Rays which Christine has brought forth this evening will truly help to transfer any elements that are not fully in the active stage to be fully released into the frequency of all that is. We bring forth these Cosmic energies as the portal has now been opened in the area where we are sitting with Christine. As we bring forth the portal energies, what do the portal energies mean? The portal energies mean we are now fully into the Cosmic level upon the Earth Plane. Areas will be able to be more healed than ever before. People will be opened up to their gifts more than they ever did before and new ones are going to be awakened. What happens to the new ones that are going to be awakened, you are going to be shown different elements and that is where each of you come in that have been on the path longer than they have. It is very, very important that everyone understand this process; that everyone has to go through certain processes although the energies are at a very high vibratory rate, which is going to allow each and every individual to fully accept the Divinity that is them. As they bring forth the Divinity that is Them, they are going to be bringing forth the actualization of the energies that they haven’t fully accepted previously. This is what this portal means. The portal is open now where we are standing. The portal will open soon, maybe in your area or maybe it has already has passed for you and you are just actualizing it within your body. It is very important that you bring forth that peace, serenity and love that is so much a part of this. So we ask that as you sit here listening to these words that you take a deep breath; and as you take a deep breath, you feel a light formation above your Crown and within this light formation, there is going to be a swirling energy that comes down through your Soul Star, through your Antakarana Bridge through your Soul and your I Am Presence. This is going to be a swirling energy in a clockwise manner like it is a tornado, but it’s going to be a pure Crystalline Light infused with many colors with the colors that have been spoken about previously, Violets, Golds, Silvers, Pearlescent, Yellows, Reds, Lavenders, the frequencies of all the colors of Green, sparkles of Oranges. Allow that frequency now to blend inside of you. It is a swirling energy that is going to come down into your Chakra column. As it comes down into our Third Eye you feel your Third Eye being opened and bursting open and feel the frequencies of this light to fully accept the beingness that you are. It moves down into your Throat and the vibratory rate of your speaking ability and the compassion that will come out of your mouth will be an amazing event. Moving it down into the Heart, allow that frequency to be in the Heart center. There is love coming in and there is love coming out. There is an unending amount of a circling of energy in you, moving downwards into the Solar Plexus. Feel the power within you, this beautiful power, a personal power, a loving power. Allow that frequency to be fully within you as you bring forth those energies. As it comes down further, it comes down in to your Polarity Chakra and comes down into your Root. Allow all these bodies of your Physical, your Etheric, your Emotional and your Mental as they are all blending together as the energy now comes down into your feet landing within your Earth Star. It comes outside of your body, completely outside of your body and the earth is spinning outside of you and now it is outside of you. It has been inside of you in all the levels of creation, from your auric field, from your Physical to your Etheric into your Emotional and within your Mental. They are all swirling together until you are one ball of light, and it is just swirling and swirling and swirling; then all of a sudden there is an entry way and your I Am Presence of the Soul Group of Consciousness that you work with, the other 11 souls that came into being that split apart are now going to work with you more fully into your Physical vehicle. Feel that coming down into your Heart and feel the bridge across your heart from your male and female, the Goddess and God that is within you. Feel the complete acceptance within your body as you feel the totality of yourself. You feel the essence as the 5th Dimensional body is now activated which was activated with the Chakras, you are now activated with the Rays and with your I Am Presence. Just sit for a moment and let this peace occur within you. Feel the peace of the Love that you are. Feel the peace that you were from the beginning. Feel the peace of the acceptance of beingness. Breathe deeply, breathe deeply, breathe deeply. We come to you in this moment with the activation to allow the Veil of Forgetfulness to be fully removed. We can say the words, but sometimes the words cannot be so. As we bring in the vibration of the Cosmic energies for you, it is a remembrance of what it felt like in the beginning, the separation between all of us was very challenging, but we had to do it. We had a part to play upon the earth’s existence, as you chose to take those separations and you knew that we would all return together. This is the moment of our returning in space and continuum that we are. Allow the frequency of All That You Are, All That We Are, That All That We Are Together. We stand in front of you, we stand with you, we allow this frequency to be us. You are now aligned with the Cosmic energies from the portal. Allow that to be fully within your body. Allow yourself to feel that totality. Allow yourself to feel whom you are, whom you are, not what you thought you were, but whom you are. I Am That I Am That I Am. Just say those words to yourself, I Am That I Am That I Am. I Am That I Am That I Am. Breathe deeply and allow this frequency to be within you. Now we tell a little story. This story is the beginning of who we were in the beginning and how we were such a beautiful family, sparkles of light dancing around the Cosmic levels, going to different planes of existence and feeling the joy and the light that we were. Feel that now. I want you to feel those sparkles of light. See yourself coming to the Divine Mother and see the essence that she is. Greetings. I come to you with the essence of the Divine Mother that I Am and the Divine Child that you are. It is ok to feel, it is ok to embrace, it’s ok to be vulnerable. Embrace this now. Embrace this within yourselves so that you fully feel the acceptance that you are. I ask of you, the men on this planet, to fully embrace this more fully than the women as the women truly already know how to do this more fully than many of the men. Embrace your intuition, embrace your thoughts, and embrace the emotions that each of you feel. You will start to understand exactly what has been occurring. I am the Heart of God. I send you my Heart to your Heart and allow it to vibrate. I now come to you from the Divine Father, the Will of God, Strength, the Activeness. I come to you as the mode to work with female side of you, the emotions inside of you. We need to work together. I would be nothing if it wasn’t for the Divine Mother. She is the birthing process as within you, the female part of you is the birthing process. It is the bridge to allow the I Am to come through. I will give you the idea, I will give you the strength and I will show you what action needs to be taken, but you must let her do it. Show her the way. She is the one that has to move the power. Without that aspect, it will be lost and the lower ego will take over. So we stand in acceptance of each other. I, the Divine Father, bring to you the Divine Mother. As we bring our heart together in balance to each of you, to embrace yourself in the frequency of all that you are and all that you can be and all that you will. Breathe deeply. We now come to you in the Consciousness of the Cosmic Great Central Sun, the I Am of the Creative Source of the Universe. Your I Am is now fully incorporated within your physical being. Feel that now, feel the pressure leave you. Feel the presence of your light to give you joy, give you immense serenity more than you have ever felt previously. Use this Higher consciousness to assist you in your daily living and you will see the fluidness and the openness that is occurring within you in all aspects of your Divinity. We call forth a special dispensation to every individual that is listening to this recording , that is here on this call, to be fully activated to higher levels than they have ever seen before. This portal today allows this opening of the doorway to fully actualize the peace and the strength and the ability to formulate their lives in a different paradigm that has been instated into society of the Planet of Earth. The society of Planet Earth will now be changed, and the people are going to change as it will flow through the people. It will flow not by saying anything, but just by Being. Allow the beingness that you are to bring forth that frequency, and you will see the essence of the balance within you, the totality of the soul that you are, the totality of your Highest God Consciousness. It is your Divine Right to accept this right now. Allow it To Be, as you fully embrace this energy. As you fully embrace you, it is you, not us, it is you, it is the Group Consciousness of All That We Are together. There is no separateness anymore in this moment. Breathe deeply and allow this attunement energy to fully come within you. Bring it all the way down to your feet and allow yourself to be physically active in this moment. Feel the essence that is you. Feel your Heart, feel your Throat, feel your Mind’s Eye. It is different. The vibration has changed and you are the one that has changed it. The energy has been part of you, but this fully has been changed into this frequency. We are here, as the Cosmic Great Central Sun, to assist you in this process. Please do call upon us and please do join us for the following calls that will be happening on a weekly basis. We are very, very happy to bring forth this energy. We will bring you updates of what is happening with the energy and we want you to just feel balance. Remember this is a portal. What does that mean? The energy is being opened for you to move into a different thought process than you ever thought possible, but it may take some time for it to be fully activated physically within you. Be very gentle with yourselves. Allow the frequency to come in. If you have moments where you feel uncomfortable, embrace it. If you need the assistance of a healer, a friend, someone, an energy worker, utilize whatever you can to assist you in the process. Even if they don’t understand what you are experiencing you may find that you meet others that are on different conscious levels than yourselves, but in this moment the people that are coming together, the Soul brothers and sisters, the 144 souls of your family are going to be united within you. Open yourself up to the frequency of these levels and allow it To Be within you. See it enfold within you, try not to put any thought forms into it. Try not to put your emotions into it. Feel each moment as it is. Being in the moment is a no-time zone. Being in the moment is to embrace yourself fully in the active participation of your light. It is our pleasure to be here with you in this moment. Thank you, dearest Christine, for opening up the doorways to assist so many others in a verbal communication. It truly is a rebirthing day for each of us and especially from the Divine Mother and the Divine Father. Blessings and gratitude in the frequency of all that is, in the Holy God of Host, WE ARE THAT WE ARE, WE ARE THAT WE ARE THAT WE ARE. I am the Cosmic Great Central Sun at your service. Allow this frequency to be fully within you, allow it to be within. We are all one in this moment and embrace yourself in all that is. In the name of the Christ.